Who is overseeing your events? Amy Nebons owns event management company Blink Events LLC. If you are an organization who has ever put on an event, I am sure you have run into some unforeseen details that nobody had on their radar. The result is an increased heart rate, sweaty palms, dry throat and the urge to run as fast as you can out of the building and into a dark cool place. Enter your event manager. This is your designated event boss, who ultimately makes everything go. Having a designated boss will ensure a successful event and spare you the heart palpitations that send you into a frenzy. Keen eye for detail: These people see everything coming and have the ability to recognize a problem before it becomes one. Yes, at times they can also be “Debbie Downers” who will discourage you from things strictly based on logistics, but their intentions are pure, having only the event’s best outcome on their mind. Organizationally proficient: These people know where every correspondence between everyone ever is located and can recall details of the event quickly and confidently. This person will be your MVP when it comes to event day. Nit-Picky: This may sound like a negative trait (and it can be in the right context), but when it comes to your event, you need a person who is not afraid to let someone know exactly what needs to be done and when (in the most charming way possible, naturally). After all, this event is a reflection of you and should be nothing less than spectacular! Problem solvers: Every event comes with its 11th-hour hiccups; the key is to be prepared! These people possess survival skills and are able to act quickly using the resources at their exposure. In fact, these people are such good Houdinis that you never even noticed there was a problem. Execution experts: These people not only talk a good game, they also possess a good game. They have follow-through and have been known to produce really quality work. Their main goal is to make you look good. Find your event guru, whether he/she is in or outside of your office. Choose wisely, because the better the guru, the better the event turnout. Contact me by phone: 617-840-5073 or email at anebons@blinkevents.net. Find me on LinkedIn , Facebook or at my website www.blinkevents.net. Joe Benesh is a senior architect with Shive-Hattery and president and CEO of the Ingenuity Company, a strategic planning, diagramming, framework development and design thinking consulting firm. I have been thinking a lot about the concept of relevance lately. Many of the groups I am working with or have worked with recently have been struggling with their identities. The origin of these existential questions stems from a number of factors: changing needs of their target demographic, scarcity of resources, and rising expectations of increased ROI by investors, volunteers or consumers. In the traditional business model, market forces tend to drive toward an equilibrium point; what is being offered tends to balance out with what is desired. Due mostly to the vast influence and impact of technology in our lives, expectations are being redefined by our exposure to a larger base of knowledge about the world around us. Creative destruction assumes the opposite of this framework. The speed at which product cycles turn over is so rapid that we have come expect that something new and more impressive (and therefore more desirable) is always just over the horizon. So we have become conditioned to expect things to come more quickly, turn over more frequently, and exist in spite of, not as a complement to, whatever previous version existed. Planned obsolescence is not a new concept; our economy is rooted in the need to buy the same products again and again over discrete timelines. But the ripple effect that technology has had on our response to this planned obsolescence has created a paradoxical relationship with our expectations for strategic development within our organizations. When an organization raises the question "How do we remain relevant?" all of the above starts to come into play. A common problem is engagement. Leadership in organizations wants to know how to keep members or employees engaged. And here is where creative destruction comes into play. In this case, let’s do a bit of reverse engineering. The end result is that we have actively engaged members or employees. So the question is "What do we need to offer or produce to secure that outcome?" In a traditional model, you may simply survey your membership and align offerings with the results of the survey. Seems simple enough. Give the people what they ask for. Equilibrium reached. Supply meets demand. But this is a flawed assumption. Studies have shown that simply providing the exact thing that is being requested actually leads to a drop in employee satisfaction. If we use the creative destruction model, we stand a better chance of meeting the needs of our ever-evolving group of constituents. There is now an expectation of innovation in the product mix being offered. In addition, there is an expectation that the solution or developmental framework be competitive with other similar offerings, as well as developed in such a way as to be conducive to manipulation by members of this constituent group. It also must be iterative, meaning that whatever version you are currently rolling out, there must be a promise of more to come; dynamic evolution. Ro Crosbie is president of Tero International, a premier interpersonal skills and corporate training company. The power of the web is not a discussion about the internet. I’m talking about networking. I’m talking about the 4.74 degrees of separation between you and everyone else on the planet (it used to be 6 degrees of separation). You already know that most people find new jobs and opportunities because of connections through a network. Similarly, many leaders leverage networks to find talent for their teams. While we all realize the importance of a strong web of network connections, many of us mistakenly think that the network connections closest to us are the most important. Interestingly, most of time, key connections are made through distant links – people who are not directly connected to you. In other words, the people who are most closely linked to you would probably help you with your goals. Our challenge as leaders is to make the more distant connections. That is, connections with people who have access to different networks. Therefore, the goal of networking is not simply to make more connections to you. The goal is to make a web of connections, many among other people with no obvious link to you. At the center of the word "networking" is the word “work.” It is not enough to merely want a healthy, helpful network. It involves work. Consider the example of a gardener. A good gardener carefully tills and seeds the garden. During the growing season, they weed and water it. In the fall they enjoy a bountiful harvest. What happens if the gardener simply throws some seed packets on the ground and doesn’t care for the garden? They have a bountiful crop of weeds. You can try this over and over again, and you’ll always get the same results. Do the work, and you’ll have a wonderful garden. Just toss some seeds on the ground, and you won’t. So it is with networking. You cannot enjoy the achievement of your goals without doing the work. Like the skilled gardener, the skilled networker knows that the results are not immediate. Yet so many of us think we can harvest a healthy bounty from a network that has not been cultivated or cared for. When we are unsuccessful with our approach, we fix blame and complain rather than taking the actions called for. Leaders who develop the skills of effective networking and do the work required enjoy many benefits. Like the gardener, the benefits are greatly multiplied when the work is done well. The gardener plants only one seed, but each successful seed produces a plant containing hundreds of seeds. If we can focus more on the other person and less on ourselves, we can cultivate the relationships that will ultimately form the critical links that make up our network. Our leadership success depends on it. View this short video clip for tips on how to build your network. Ying Sa, a Chinese national, owner of Community CPA and founder of Immigrant Entrepreneur Summit, writes about how to interact with immigrant business owners. Fear of authorities is a normal life experience for new immigrants and immigrant business owners. They have a lot of reasons to be fearful. Many immigrants came to the United States through United Nations refugee programs. They survived oppression and danger in their home countries and lived in refugee camps for years, and were finally chosen to resettle in United States. They are fearful of the Immigration Naturalization Service. Their American dreams could fall by the wayside, and friends and families could end up abandoned. The process of applying for the Green Card and getting it into the hand of an immigrant could easily take up another 10 years of someone’s life -- and at any time, it could be taken away. So when Department of Labor auditors unexpectedly show up at an immigrant-owned business work site, it means nothing but fear to the immigrant. Even if it was just a noble and caring gesture from the DOL, it is hijacked by fear. When an immigrant taxpayer gets an audit notice from the IRS, instead of seeking professional help, some of them abandon their apartment and they move, leaving behind the growing pile of IRS letters. The fearful minds of immigrants need a lot of education and care. It falls upon professionals to step up and help these immigrants address their issues with various government agencies, particularly when new immigrants are in business. We need to educate them and provide a road map for them to do things correctly from the beginning. I met an immigrant who was in business for almost 10 years without knowing he should be submitting sales tax regularly. He was so fearful that he did not seek professional help until his wife contacted me. She explained to me that her husband was terrified about their tax situation and was afraid of going to jail. So they were planning to move out of the U.S.
Of course, they do not have to move out of U.S. Their fear was misguided by their lack of knowledge regarding state and local taxes. With some guidance, they set up an installment plan with the state in less than two weeks and they could not believe how easy it was to correct their mistakes. I remain open-minded when working with immigrants. I do not jump to conclusions and I do not rush to believe that they are hiding something. And when they tell me of their problems, I stop and praise them for being honest in business dealings. I know that most of them are good people but misguided by fear. So I tell my fellow immigrants that overcoming fear is the first step toward their American Dream. To learn more about immigrant businesses, please register at www.iesusa.org and come to spend a Saturday at DMACC FAA building on Nov. 19, 2016. Dave Nelson, CISSP, is president and CEO at Integrity. The 2016 presidential election will have long-lasting implications for cybersecurity and information privacy. While Congress has its hands full debating adoption of or updates to legislation, such as updates to the Electronic Communications Privacy Act, the president will be influencing cybersecurity from other directions. As commander in chief, the next president will provide significant direction to the Department of Defense and the national intelligence community in how to engage America’s enemies in cyberwarfare. Will America continue to develop a cyberwarfare capability within the Defense Department? What will the rules of engagement be during cyberattacks against information systems used by the U.S. military, government agencies or critical infrastructure providers? Should the U.S. unleash a fully offensive and pre-emptive cyber strike in an attempt to deter or prevent a war in the physical world? Are civilian cyber targets such as manufacturing, banking and critical infrastructure information systems fair game in order to attempt to prevent the need to send our troops into the field? The next president will also name at least one new justice to the Supreme Court, possibly more. How will those justices view privacy in an electronic world? Will they work to limit the types of information that can be collected by the public and private sectors? Will they work to ensure the Fourth Amendment to the Constitution is applied to the new digital world we live in? Will the U.S. finally begin to be a leader in the digital privacy fight instead of following in the footsteps of Europe, Canada and even to some degree Russia? While answers to these questions may not be looming as large as how to address health care, Social Security, the economy or gun control, they are nonetheless critical to the future of this great republic. We are just now beginning to see how decisions we made just 10 to 15 years ago are impacting cybersecurity and privacy of individuals and organizations. With the speed of technology innovation and adoption by governments, corporations and individuals, we can no longer sit on the sidelines and “wait to see how things play out.” Significant discussions must be had and decisions made on how we, as the leaders of the free world, view information security and privacy. Elected officials at all levels, including the local city leaders and school boards, are impacting your digital world and that of future generations. So I encourage you to ask candidates questions on their stance on information security and use that information to help you decide who to cast a ballot for this November. Cory W. Sharp is an intern architect at FEH Design in Des Moines and the current president of the Young Professionals Connection. It’s nerve-wracking stepping into the unknown. Unfamiliar with a place that is completely full of individuals you have never met before but have to introduce yourself to, and wanting to make a great first impression. The downside to social networking is having to step outside of your comfort zone and introduce yourself to the unknown. However, the upside is endless. Countless opportunities are waiting as soon as you open the door to social networking. So get ready to open that door! Relax. Get comfortable with the idea that there’s no perfect way to go about it, but that the people inside are just like you. Being uncomfortable is a good thing. It helps you grow, and gives you confidence when confronting that anxiety again. Ask questions. When you get nervous, just ask about them -- the other people. Get to know the other person better. Not only will it take the spotlight off of you, but the person you’re trying to connect with will be much more interested in you and your business once you have shown interested in them. Don’t talk about your job titles and the responsibilities that come along with it. There might be hundreds of individuals at an event, and the best way to stand out from the crowd is to not bore people by listing off your resume. People tend to gloss over job titles and responsibilities as easily as they might forget your name. A good friend of mine, Danny Beyer, gave me a great piece of advice in saying, “Ask them what they are passionate about.” It sounds a bit personal, but it has worked countless times in my experience. People like talking about things they care about, and oftentimes it may not be their job. Don’t let yourself become “what’s his/her name.” Instead, when it’s your turn, talk about what you are passionate about and how those passions motivate you. Emotions resonate with individuals more than words do. When you mix emotions such as passion to your career, you will be well remembered. Take it from someone who is usually remembered as the young architect who enjoys talking transit and eats way too many tacos. Open the door, be yourself, and success will follow. In Dan Ariely's book "Predictably Irrational," there is a chapter called “Why a 50-cent aspirin can do what a penny aspirin can’t.” If you haven’t read this book, you should. It calls into question a lot of the decisions we make and the root causes behind why we make them. In many respects, planning is about developing a set of possible solutions. It isn’t our job to implement these solutions, but rather to present clients with frameworks for success and increases in capacity. So, what of the 50-cent aspirin? The reason I began this post with that is because sometimes clients search for the 50-cent solution when the penny solution will do. But isn’t the 50-cent solution always going to be better? The answer is no. I’m not talking about the actual price of the strategic planning services or even the cost of the implementation of the solution – what I am referring to lies in the amount of complexity in the solution framework presented as a result of the planning process. It is easy to get caught up in a solution that seems to have many bells and whistles. A 50-cent solution. But is that what you need? Does it solve the core problem, make the improvement(s), or build capacity in a way that meets the baseline expectations? Or is it more bells and whistles than a framework for solutions? Activities and actions solving fringe issues rather than aimed at the core or critical? Strategic planning works because it offers an opportunity for organizations to build a long-term vision for what they wish to accomplish. If this long-term vision is overwrought with complexity, or constructed around a framework that is not built on solid user data or analytics, then what appears to be a well-developed plan will disintegrate during the implementation phase. We have a tendency to naturally assume that if something is more complex or more expensive, then it must be better. I’ve found that almost universally the opposite is true. When a plan is too complex, it will seem too hard for stakeholders to get traction on any single area, which may cause a cascading effect on the entire plan, causing it to fail. During the planning phase, this complexity may have felt good by virtue of sheer volume of information – safety in numbers of a sort. But if you move into the tactical portion of the planning phase without properly winnowing, filtering and/or phasing this earlier raw data, the volume of information will work against successful implementation. Successful strategic planning balances complexity with relativism and practicality. Strategic planning works because it allows these three ingredients to mix, based on the needs of the individual or organization. When this mix is optimized, the penny solution will feel like a 50-cent solution, because you will find success in implementation. If your headache only needs a penny aspirin, why waste the other 49 cents? Alex Karei, marketing director for Webspec Design, blogs about web strategy. Have you ever thought about the usability of your website? Maybe the last time you launched a new website for your company, you sat down with members of your team and had them click through a few pages, making sure they understood how to use the site prior to launch. You probably caught a few dead links, and you might have thrown some feedback to your web design company, but you probably didn’t make any drastic changes at that point. Why not? Probably because drastic edits would have meant hundreds (or even thousands) of dollars' worth of development adjustments. That’s a hard pill to swallow when you’ve already invested a good chunk of change into the site to begin with. Usability is defined by the Nielsen Norman Group as a quality attribute that assesses how easy user interfaces are to use. Nielsen Norman Group also says that usability is defined by five quality components. I’m rather fond of how they break it down. If you’ve gone through the feedback process I mentioned earlier, you’re likely only getting observations on the “satisfaction” side of the scale. Errors pointed out are probably only regarding content, and learnability is only evaluated from the instructions given (which are not always the strongest). Although I’d love to say all of our clients take part in true usability testing, it simply isn’t true. Why? Because budgets are limited, and given the choice between a key feature or some hours spent on that testing, the feature will win almost every time. Naturally, staff at a web design firm are thinking in terms of usability as they design the website, but that doesn't mean that it's a done deal. True usability is about getting your website in front of the right audience, and that's not always the individuals employed at that firm. Thank being said, an easy way to implement usability testing is to start in the design phase. Most web design contracts will allow one or two rounds of edits from the initial, proposed website design that they will ask you to review and sign off on. It can be easy to see that design, be drawn to the fun colors or bright photographs, and miss the opportunity to test site usability. But with this type of review, you’re only addressing the “satisfaction” the design presents. Source different people. It’s important that you present the design to people who aren’t overly familiar with your product, but would fall into one or more of your target audiences. Assign a task. Think about what you’d want someone in that audience to accomplish with your website, and ask them to do it. See how long it takes them to respond. Is it easy for them to make a decision about where to “click” on that home page? If not, you might have an issue. Ask for feedback. If your results weren’t positive, take the opportunity to ask the individual what they were really looking for, or why they were confused. Make edits with your team, designer or developer accordingly. Obviously this works better if you’ve got a few designs that you can present a tester with, to help them understand page-to-page flow. But you can still get a good impression of how your home page is working with this simple test. If it doesn’t work on paper, putting code behind it won’t magically fix problems that are present. Bonus: If you have glaring issues, fixing them in design is a lot less expensive than if you get through to development. Extra bonus: If you’ve got two rounds of design revisions, you can take that new design back to the same tester and follow up with questions that help ensure there’s been improvement. To some extent, you can even look to test memorability and efficiency. Not everyone has time to thoroughly test usability, but that doesn’t mean you have to ignore it completely. How are you testing your website’s usability? Dr. Anthony Paustian is the provost for Des Moines Area Community College in West Des Moines and the author of "Imagine" and "Beware the Purple People Eaters." His upcoming book, "A Quarter-Million Steps," will be available early next year. I recently saw the movie "Deepwater Horizon." Since the movie is based on actual events, I’m not spoiling anything by describing how it chronicles the 2010 oil well explosion in the Gulf of Mexico that caused the largest oil spill ever in U.S. waters. What struck me the most was how I could actually feel the gradual, yet massive buildup of pressure ultimately released from the ocean floor more than two and a half miles below the surface — pressure that literally blew apart the entire structure. It got me thinking about how pressure can also affect our everyday lives. Except in a few scientific and engineering contexts, intense pressure is seldom a good thing. However, people often think they actually perform better under pressure, despite the research showing just the opposite: No one performs better under pressure. Often, this overload and the subsequent pressure created by it come from either trying to do too many things at once (multitasking) or from putting something off because we have too many things to do (procrastinating). And as with most things, an overload tends to burn out what’s being overloaded. Studies of very efficient people show they rid themselves of distractions and the unnecessary, miscellaneous choices that deplete mental energy. They frequently eat and meet at the same places; they turn off their smartphone app notifications and look at their apps when they’re ready to see them; they stop dwelling on things that occurred in the past and don’t obsess on things that might happen since it’s impossible to actually do things in the past or future; they frequently wear the same clothes (think Steve Jobs); and they remove the clutter that surrounds them.4 This “freed-up” energy allows them to focus on what’s truly important. Being at our creative best requires gas in the mental tank, gas that will only be available if we aren’t going full throttle every day. Also, as with any machine, the brain, or even an oil well, going full throttle for too long creates intense pressure that will be released, one way or another. (2015). “Brain 101.” Issue 70, 360 Magazine. Steelcase, Inc.: Grand Rapids, Michigan. If you are considering hiring a coach to help you zoom ahead to reach your goals, then you have come to the right place! Because business coaching is an unregulated industry, it is critical that consumers understand what they should expect to receive for their investment of time and money. This is the last article in a three-part series devoted to helping potential coaching clients get armed with important information to discern the type of coach they are searching for, identify the qualities found in a great coach, and, finally, determine if their potential coach is a great fit during their first meeting together. Big Decision One: Private pay or employer-funded? One of your first decisions is to weigh the options to hire the services of a coach that you pay for out of your own pocket (private pay) or asking your workplace to pay for your sessions (employer-funded). There are advantages and disadvantages to consider in both payment arrangements. In my private coaching practice, I provide services to both types of clients. For some of my clients it is more advantageous for them to pay for my services without the knowledge of their workplace. Private pay affords the highest degree of privacy and confidentiality for the coaching client. You can share anything with your private-pay coach, and it will be kept confidential. Another advantage of self-funded coaching is that you have an unrestricted selection of coaches and an unrestricted range of personal or professional goals to work on achieving. You aren’t restricted to the “flavor of the day” initiative at work. An advantage with an employer-funded service is that there is no out-of-pocket expense to the client. However, a disadvantage may be that the number of coaching sessions may be limited to just one or two, and you may need more. Big Decision two: A coach who is outside or inside the organization? The next big decision is to determine if you want a coach who owns a private practice and works independently (an external coach) or if you want a coach who works for the same organization that you do (an internal coach). Many large organizations today have coaches on staff to work with their employees. Again, there are obvious cost advantages and privacy considerations when working with an internal coach. It may be difficult to work with someone who is your coach but also your co-worker. Oftentimes coaches who are also employees lack experience and credibility in working at the senior levels of an organization. They may have a limited perspective. Engaging an “external” coach, someone who is an independent contractor or consultant, can be advantageous because they would naturally have an independent, outside perspective of your issues. They typically are highly skilled and have credibility at the senior management levels. And, a coach who is an independent consultant, and not an employee of your organization, is going to give you greater confidentiality and privacy. In the end you will need to explore the pros and cons of paying for the coaching yourself or seeking funding from your employer. Will you use the services of an independent coaching professional or a co-worker? Carefully weigh the benefits of each choice and then decide. Maybe you have gathered the names of potential coaches by asking family or friends. Or perhaps you found them through a Google search. It is important to read each coach’s website information thoroughly to determine if they are a possible fit. Examine what types of clients the coach serves and what objectives they have achieved. Think about whether their approach would work with your personality. Consider whether you prefer someone with expertise in a particular industry or business setting. Also determine what meeting schedule and format would work best with your lifestyle and needs. Some people do best with just once-a-week, in-person sessions, while others prefer having 24-hour phone access to a coach. Some coaches only work via Skype or the telephone. It is all great, as long as it will meet your needs. Also, look into the coaches’ training. When I hear about coaches hanging out their shingle after completing an online certification, it raises some red flags. The coaching process should be a warm, person-to-person interactive experience based on well-researched techniques, not a one-size-fits-all canned approach. Coaches’ in-depth knowledge and ability to customize their programs are what allow them to maximize clients’ growth. Personally, I think coaches who have undergone in-person training and have extensive background experiences offer superior services. Your first meeting with a potential coach is much like interviewing someone for a job. Completing an initial consultation can help you determine which coach is the right fit for you. When you contact potential coaches, tell them how you heard about them and ask to set up time to talk. Clarify whether they charge for this meeting (many times it’s complimentary). Usually you will set up an appointment to speak over the phone, on Skype or in a face-to-face meeting. Do you hold any special certifications? What are your areas of expertise (e.g., executive, business, career)? Could you supply client references? Do you cap the number of clients you work with at any given time? What are your fees, and what do they include? Do you include any special surveys or tools in your coaching process? How long would each coaching session last? One hour? 90 minutes? Two hours? How many coaching sessions do you recommend? Do you offer evening or weekend times? How do you measure results, and when should I start seeing them? Does he or she make me feel comfortable? Is this someone I could work with on a weekly basis for several months? Do I genuinely like this person? Do I feel like this coach listened to me and heard what I was saying? Does the coach seem knowledgeable about the areas where I need assistance? Does his or her coaching process and format work with my current schedule and commitments? By the end of your initial consultation, you should clearly know what to expect if you decide to work with this coach. This includes the approach, format, methods, fees and billing structure. At the end of the first meeting, your coach may ask you to sign a letter of agreement. Please know that you don’t need to make a decision on the spot — if you’re not sure, take your time. You want to go into the coaching process with confidence and enthusiasm, not second guesses. By getting clear about your goals, doing your homework and asking the right questions, you will be well on your way to finding your perfect coach and achieving at extraordinary levels. © 2016 Rita Perea. All Rights Reserved. It's no secret that competitive people want to win, love to win … need to win. For some people, their competitive fire is fueled more by not losing than it is by winning. Very competitive people hate to lose more than anything. So what does that have to do with specialty retailing, especially if you've positioned your business in such a niche that there is no real competition? The answer is plenty. If I've learned anything as a runner, a competitive horse rider and a specialty retailer, it's that competing against myself is one of the most important things I can do to be successful. That's not to say we don't need to be aware of what's going on around us. After all, we can't pretend that others aren't competing against us every day. But one way we can deal with those challenges is by challenging ourselves. Like a lot of runners, I'm always measuring my results against previous efforts and looking for ways to gain a step here and a step there. In competitive horse riding, nothing replaces focus and practice, practice, practice. Focus means you know what you need to do to win. Practicing the right things ensures that you react the right way. As a business owner, you can't afford to just react the right way when a situation just comes up. You have to be focused on the right things so that your energy goes to setting the agenda and winning each day, rather than reacting to external events as they pop up. In specialty retailing, there are any number of places -- from a different product mix and even better customer service in the front of the store to employee training and new software in the back of the shop -- to up your game. You just have to put in the effort to find those advantages and make them work. Competing against yourself is all about self-improvement. And that gives you an edge in several ways. First, it's an antidote for complacency. If you're always working harder and smarter, your business is always going to keep getting better. Second, any potential competitor will have second, third and fourth thoughts about trying to take you on when they see just how hard you strive to be the best. Finally, top competitors always like to compete against the best. And shouldn't you really be your toughest competition by always being at the very top of your game? What's on your life list? - Dr. Christi Hegstad is a certified and award-winning coach, author, speaker, and the founder of Spark. Learn more at MAP Professional Development Inc.
Do any of these appear on your list of dreams from time to time? Wait ... do you have a list of dreams? You've probably heard of a bucket list (aka Life List): things you'd love to do, see or experience in your lifetime if you had no barriers whatsoever. I often coach my clients to create such a list, encouraging them to generate at least 101 items. Yes, 101! What may seem a daunting task at first becomes an excellent exercise in passion, purpose and authenticity. When nudged to include so many dreams, you get below surface level and really begin to connect with what lights you up, what matters most and what brings you joy. You expand your sense of wonder. Not only a lot of fun, creating a Life List is also a deeply meaningful activity. Take my team on a five-day retreat to Arizona. Present at our industry conference. Get published in a respected magazine. One of the biggest blocks when it comes to dreaming big is worrying about how you'd ever make the dream a reality. Don't even think about the "how" right now -- that comes later. For now, just focus on the "what": What would light you up, make you feel amazing, change the world? You've likely kept quite busy with work, family, volunteer service and the myriad roles that constitute your life, so don't worry if you have a hard time generating ideas at first. That's completely common! Also, this is not a to-do list or agenda of "shoulds." Strike up dream conversations with others and watch them light up -- and likely inspire you with more ideas, too. Write your Life List! Generate 101 items you'd love to do, see or experience in your lifetime -- personal, professional, family, service and every other category that matters to you. You don't need to generate the entire list in one sitting; get it started, then carry it around with you for a few days. You'll be surprised what ideas appear once it's on your mind! For more ideas, check out my quick video on YouTube as well as Phil Keoghan's inspiring book, "No Opportunity Wasted (N.O.W.)." Here's to your dreams! Dr. Christi Hegstad helps you bring meaning to work and purpose to life! Find her on Facebook, Twitter, and Instagram, all @ChristiHegstad. - Jason Kiesau, leadership and talent development manager with Aureon HR, writes about success skills and is the author of FOCUSED - Your Future Starts Now! and Leading with Style for Senior Living Professionals. Take a moment and think about the last conflict you had at work because of some breakdown. Conflict in the workplace is normal, right? Even with all the Success Skills training, there is going to be conflict. Conflict is OK. Sometimes it's needed; most of the best solutions are the result of experiencing a little conflict and tension. And sometimes it's just simply unavoidable. Though conflict doesn't scare me, I don't like it when it is unavoidable; and unfortunately a lot of it is unavoidable. When I was a business coach with E-Myth, a core skill we tried to support our clients in obtaining was the identification of root causes when problems occurred or things didn't go as planned. In my experience, when there is something that didn't go as planned, we look to see who did what or who didn't do what, rather than taking a step back to find the real cause of the breakdown. Think back to the last conflict you had that I asked you to think about at the beginning of this post. Were you able to identify why it happened? Raise your hand if your answer came down to what someone did or didn't do. Clear Goals - People aren't truly clear on objectives, goals and desired results. Clear Roles - Roles and responsibilities aren't defined, so people aren't sure who is doing what. Clear Communication - Important information isn't communicated clearly to people who need it. Clear Processes - The best way to get the desired results has not been defined and documented. A few months ago a member of my team came to me frustrated. He was frustrated because he and two other team leaders were planning 12 months' worth of webinars and it was going to require resources from multiple teams to successfully execute them. He was frustrated because he felt everything was on his shoulders and the other two leaders weren't giving it enough attention. Once we started talking, the root cause of this issue became clear. This wasn't a people issue. All three parties agreed on the desired result of scheduling 12 months' worth of webinars. Each person knew resources were going to be needed from multiple teams; everyone was on board. This new problem was occurring because nobody really knew who was doing what. The roles and responsibilities weren't clear. My team member expected the team leaders to do more because they were involved. They were on board, they just didn't know what to do. The next time they met, my team member led the discussion, and together they identified and agreed on who was doing what and were able to move forward productively. I have a client whose home office is in Alabama, with seven locations throughout the southeast United States. They needed to create a scorecard that would allow them to measure the success of each location fairly and consistently. This desired result materialized in the form of a one-page checklist that regional directors would use twice a year to ensure each location was in alignment with the corporate vision. When I received the first draft of the checklist, I thought it was awesome. They had identified over 60 key success measurements that contribute to the overall success of the organization. One measurement was "Curb Appeal." Another measurement was "Greeting" customers upon arrival. Each location's attention toward and ability to satisfy each of the 60+ success measurements will determine this organizations overall success. On the surface, objectives are clearly defined through the 60+ success measurements. Everybody in the organization will know what success looks like. I have encouraged them to take a step further and clearly define what each success measurement means. "What does curb appeal mean?" Though they have them outlined, right now each of the success measurements is left up to the interpretation of each person using them, which will lead to a breakdown. Defining each measurement keeps everyone on the same page. They have done a nice job at defining clear roles at the corporate office. Regional directors will be responsible for facilitating this audit twice a year at each location. Now they need to make sure roles are clearly defined at each location for everyone to be successful. Clear communication is going to be key to the success. They have clear goals and clear roles, knowing they need to make both a little clearer. To be successful they must create an intentional internal communication strategy that sets everyone up for success. Failure to do so will lead to a breakdown. This checklist of success measurements is great example of a clear process that when followed will lead to more consistent and predictable results. They key word is WHEN followed. If the goals aren't clear, roles aren't defined and there is a lack of clear communication, the likelihood that this process will be used correctly and consistently goes down. So, conflict isn't bad and breakdowns are going to happen. How we respond to a breakdown will determine our success moving forward. The next time things break down and conflict occurs, don't make it personal. Assess your situation to ensure there are clear goals, roles, communication and processes. If and when you find a gap, allow that to be the focal point of resolution, so everyone can agree and move forward on the same page. Many buildings are being touted as “net zero energy buildings.” Energy is still used but produced on site to offset usage; therefore, the net energy used is zero or less. Justin Doyle, local developer and president of Modus Engineering, has delved into net zero on his Market One building on East Third Street. Now that it has been up and running for over a year, how is it doing and what are the lessons learned from the process? Over 750 measuring devices are located in the building, but someone has to analyze the info and determine why more energy is being used. A bank of solar panels was turned off for maintenance and not turned back on. It took several weeks to realize it was not clouds reducing solar panel output. Two weeks of production were lost. Space heaters under desks were left on 24/7 rather than turned off at night. Analysis of plug loads showed excess usage in one area, and the problem was tracked down. The thermostat was adjusted because someone was hot or cold and not reset at 5:00. Let me know if you are ready to go “net zero." Email me at smith.r@cmbaarchitects.com. You are ready to move forward, stretch yourself, and invest in performing at the “top of your game” in business. You want to achieve, reach your potential and self-actualize as a leader. You know that you can inspire others to be all that they can be. And you are ready to hire a one-on-one professional coach to help you reach your goals. Now what? What is your next step? In part one of this series I shared that coaching is an unregulated industry and that, because it is an investment of time and money, researching a coach’s background is a crucial step. It is important to be thoughtful in identifying both your needs and the specialization your potential coach brings to the table to help you reach your goals. Just as you would not see a family practice physician to fill a cavity in your tooth, you would not hire a business coach to help you sort out your personal relationship problems. If we are serious about hiring an outstanding coach, our next step in this process is to educate ourselves about the most important qualities that an exceptional and professional coach will possess. In contrast, we can also identify the indicators that a coach is not so great. Take this checklist with you when you interview your potential coach to determine if they possess these attributes. A good questioner. Does this coach ask relevant, probing questions to move you forward? Great coaches will ask questions that may not be easy to answer but that will cause you to think about your behavior and the changes you want. Professionally trained coaches use specific questioning techniques to help you express your thoughts and feelings. Coaches who lack a solid technique will skip over the deep questioning to only tell you what you want to hear. An active listener. Good coaches have been professionally trained to use six levels of active listening and body language -- such as nodding their head, making eye contact, taking notes -- which helps you know that they are fully present and engaged in what they are hearing you say. On the contrary, not-so-good coaches engage in “autobiographical listening,” which turns your coaching session into a litany of stories that are all about them and their experiences, not all about you, as it should be. Not-so-good coaches appear distracted, unorganized and distant. Not-so-good coaches do not accurately remember the details of what you have shared with them. Highly intuitive. Coaches who provide wonderful experiences for their clients use their intuition as an inner compass to map the way. Astute coaches guide their clients and facilitate their growth in both the personal and professional arenas by always looking forward to identify and navigate through potential obstacles. Not-so-great coaches may tend to use the “one size fits all" approach, rationalizing that if the process worked for one person, it can be put it on auto-pilot and used with everyone. Organizationally adept. Excellent coaches are organized coaches. They show you, by their actions, that they have strong planning and goal-setting skills. They are all about helping you achieve the results that you are seeking. They model and help you learn the planning skills you need to reach your goals. Contrast a thorough and organized coach with one who breezes into a meeting late with papers flailing about from their notebook. Which one would you want to put your time and money into? Results-oriented mindset. How does your coach measure your progress toward your goals? Does your coach use surveys or profiles to establish baseline data? All great coaches will gather data in some way to help you determine and reach your goals in a timely manner. Not-so-great coaches believe that it's OK to hook you into their coaching program forever. Your coach is working for you, and you should get transformational results from the resources that you have invested in the process. Provides encouragement. Working with a coach is like having your own personal cheerleader in your court. Wonderful coaches provide encouragement by providing a check-in system between coaching sessions. They may phone you, email or send a note of encouragement your way to keep your motivation high as you are practicing your new skills. Likewise, they will want you to reach out to them when you need a little pep talk or booster shot. Practices confidentiality and builds trust. When you work with an excellent coach, you will feel safe and at ease. A great coach will work hard at building a trusting relationship that will be the bedrock of your work together. A great coach will go to great lengths to create a confidential, professional and safe coaching environment. A less-than-professional coach will hold their coaching sessions in a public setting where others may overhear the conversation. Or, worse, they may share too much information about another client with you, which leaves you wondering if your information has been shared too. Ability to provide follow-up resources. Does your coach give you ideas, book titles and connections to other people who may help you reach your goals? Does your coach check in with you between coaching sessions? Excellent coaches have outstanding, up-to-date resources that they can easily access and provide to their clients. They have the office support systems in place to do so easily and in a timely manner. Great coaches are impeccable with their word, do what they say they will do, and deliver what you need to keep you moving in the right direction. The perfect professional coach is out there waiting to help you reach your goals and soar beyond your wildest dreams. While it involves a bit of research and heavy lifting on the front end of the process to find an exceptional coaching fit, the results and rewards are well worth it. In the third and final article of this series, I will help you discern if you want to hire an independent coach or use one provided by your employer. I will also suggest some questions to use when you interview coaches for the job of becoming YOUR perfect coach. What can fantasy football teach us about succession planning? 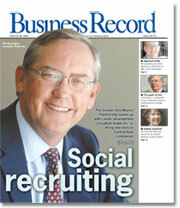 - John Mickelson, managing partner Midwest Growth Partners, is IowaBiz's blogger on succession planning. Read more about him here. Even though I played college football and for years have had numerous invitations to join various leagues, up until this year I had never played fantasy football. Relevant experience matters. When we did our fantasy football draft at the church, I felt like I was walking into a room with NFL GMs. They knew obscure player names and how fantasy scoring worked. My son and I were total rookies in fantasy football even though I had played football in college. I had lots of “football experience” – but not relevant fantasy football experience. Similarly, it is likely you will only execute a succession plan once in your life (rookie), and if you sell your business, it will likely be to someone who has bought multiple businesses (relevant experience). As a result, you should surround yourself with advisers with relevant experience. This does not necessarily mean the advisers with the most experience in general, or those you have worked with the longest, but rather those with M&A experience that as closely as possible matches the type of transaction you are endeavoring to do. 2. Make a well-thought-out plan before you need it. In the draft room, everyone seemed to have laptops, fantasy football magazines, printouts, etc. As I sat there, I Googled “fantasy football mock draft” and used that, plus my son’s favorite players, as the basis for our picks. Readers of this column probably think I sound like a broken record, but one cannot emphasize the importance of having a succession plan for your business in place before you need it. The time, effort and money spent developing this plan will pay off when the big day comes -- expected or unexpected. 3. Certain items are more valuable than others. I learned in fantasy football that wide receivers are the best way to score points. There are other important factors and positions, but if someone is able to draft a few good receivers, they will probably win more than they lose. When preparing a succession plan, the same is true. There are lots of factors to consider, but the most valuable is probably thinking through and answering the “W” questions. What do I want my company legacy to be? Why would I sell? Who do I want to run it? 4. Don’t make unforced errors. Even as a rookie, I am glad I have not made an unforced fantasy error yet. This would occur if I did not follow football news closely (likely) and ended up starting someone who is injured, has a bye week or is having a bad year. In a succession plan or business sale, there are controllable and uncontrollable factors. Do not make a careless omission or mistake on the controllable factors. Do you have clean financials? Do you have a good management team that can operate without you there? Is there proper buy/sell key man life insurance in place? Those are but a few examples. - Tom Vander Well, executive vice president of c wenger group, is a recognized customer service authority in the contact center industry. Every once in a while I come across a businessperson who understands that there's a certain karma to customer service. I constantly hear customer service managers and representatives citing the Golden Rule as a foundational principle of customer service: "Do unto others as you would have others do unto you." Treat customers the way you want to be treated as a customer. It's a great standard for all of us. It works. There is however, a further principle that I occasionally hear customer service artisans cite. It's the "extra mile" principle:"If someone asks you to go one mile, go with them two." I don't hear this as often. It is a trickier principle. It requires discernment to hold the tension between "going the extra mile" and not "giving away the store." Those who do it well, however, know and experience the karma of customer service. Sometimes you have to give to receive. I recently met a businesswoman who knows this well. I'm writing this post from Kauai, where I'm spending a little time on vacation with my wife. While preparing for our trip I had one thing I really wanted to do while in Kauai. I wanted to take my wife sailing on the ocean. I didn't want the commercial touristy sail excursion where they herd 50-100 people onto a giant vessel and pour pre-made Mai Tais from plastic pitchers as the "sailboat" is actually motoring along the coastline. I wanted to really go sailing on a small sailboat with a person who knows and loves sailing. So I started with a Google search. As I scanned all of the common tourist sites I kept paging through, looking for someone who might help me find what I was looking for and wouldn't try to herd me into a prepackaged tour. Well down on the list of websites I found Kauai by Stephanie. Stephanie said right on her page that she wanted to help arrange what I wanted to do. So I emailed her with my challenge. I had a reply within hours, and Stephanie made it very clear that my request was outside of what she could do business-wise. She is confined to working with all of the certified local tourist vendors, and there was no vendor who provided what I wanted. Having said that, she told me that she really wanted my wife and me to have the experience we desired. Despite saying that she would make no money on this deal, she said, "I'm working on it," adding "It will be my pleasure to help you have the experience you want." I asked Stephanie to go a mile for me. She offered to go two. A few hours later Stephanie emailed me back with the name of a local who might be able help me. At that point, it was on me to make contact and negotiate a deal. Nevertheless, Stephanie even followed up with me after we'd arrived on the island to see how things were going. Long story short, my wife and I spent four hours on a 36-foot catamaran sailing through the ocean swells and watching the sun go down over the Na Pali coast. It was wonderful. Stephanie went the extra mile for me. It wasn't business, it was her pleasure. And yet it was business. It was good business. Stephanie understands customer service karma. A few emails. A phone call. She simply took a few minutes of her time to connect me with the right person and to follow up. She went the extra mile, asking nothing in return. I have to believe that she trusts it will come back to her someday, in some way. And it will. That's the way the extra-mile principle works. I blogged about it on my personal blog. I've told others the story. I'm sharing it with you. That's word-of-mouth marketing. If you're going to Kauai, give Stephanie a call. She'll do right by you. - Katie Patterson is CEO and Founder of Happy Medium. Social media management is all about being alert. The immediacy of Facebook, Twitter and the rest of the channels allows for brands to weigh in on world events in real time, some that are planned, as when a brand tweets something they’ve prepared for the Oscars, and others that are unexpected, as when the lights go off at the Super Bowl and your brand is totally prepared. The conversations happening online happen quick and the brands that effectively join that conversation are the ones that are ready, thoughtful and fast. That applies to PR crises as well. Brands that find that customers are talking negatively about them online need to act quickly to address the concerns and quell any doubts. Most times, PR situations are at least partially caused by the brand itself. Whether it’s an oil spill, a safety recall or a CEO who said something they shouldn't, brands need to get in front of it to show that the mistake was an anomaly that doesn’t represent the way they do business most of the time. Last month, however, a mixture that was part real world events and part PR crisis landed on Skittles' doorstep through no action of their own. Donald Trump Jr., the son of the Republican nominee for president, tweeted a graphic that included a bowl of Skittles with the words, “If I had a bowl of skittles and I told you just three would kill you. Would you take a handful? That’s our Syrian refugee problem.” Whether you think the sentiment of the graphic is right or wrong, the tweet caused a stir online with passionate arguments both defending and attacking it. Pretty soon, Skittles was trending in a way that must have made them uncomfortable. Keep in mind, the idea of this graphic is not new, but now it’s being tweeted by the son of a major candidate in a heated election who also is someone who is a lightning rod for attention, online and otherwise. Rightly, Skittles, through its parent company Mars Inc., felt that they had to respond. A little more than four hours later, Mars tweeted this response; “Skittles are candy; refugees are people. It’s an inappropriate analogy. We respectfully refrain from further comment, as that could be misinterpreted as marketing.” The tweet went viral and was roundly praised by fellow tweeters and PR professionals. What is so effective about it? The controversy around Skittles wasn’t their fault, and I'm sure that there were some who wanted to avoid the whole conversation entirely, especially considering that the attacks online weren’t directed at Skittles, per se. But customers expect brands to be as aware of what's going on as they are, and there’s no denying that what was going on involved Skittles. In a simple statement, the brand acknowledged what happened, announced that they did not endorse the graphic and moved on. I would love to have been a fly on the wall for the meeting where this response was designed. It would have been easy enough to say, “Skittles and Mars Inc. do not endorse or speak for any candidate, nor do we authorize any use of our name in material disseminated by any campaign. Thank you,” and call it a day. I’m sure announcing a position caused a lot of anxiety and hand-wringing over at Mars. Political campaigns are nearly always divisive, and most brands want nothing to do with splitting their customer base up. However, Skittles found a way to give a response that was substantive, thoughtful and human without being overly controversial. The brand doesn’t weigh in on the refugee crisis; it only defends its name when used in a way it found to be inappropriate. They repeated what many users were saying online, that the refugee crisis is more complicated than a bowl of candy and that the two should have very little to do with each other. The best part of the response, to me, is the quick exit. The brand addresses the issue and then immediately turns the page. They understood that any sustained communication on their part could look thoughtless and crass, which would completely backfire in a situation in which the issue is insensitivity. Skittles pulled off the PR coup because, in their restraint, we are now talking about them positively. They seized an opportunity without seeming opportunistic, and in the process reminded us that a brand can be pretty human sometimes. No brand wants to deal with a crisis, especially one that isn’t of their making, but things happen, and the way you distinguish yourself is by being alert, being a little daring and being decent. Skittles proved how sweet that can be. I drove all my business miles backward that year! - Joe Kristan is a founding member of Roth & Company P.C. Remember how well those excuses we told our parents and teachers worked? They don't work any better when you use them for your taxes. My wife kicked me out of the house, so I didn't report my S corporation income. My house flooded. Three times. My father-in-law made me do it. All these excuses are fun to read, but a lot less fun to try to make to an IRS agent or a judge with a straight face. It's always better to not need an excuse. Keeping thorough records for your business is a great place to start, and keeping a secure backup copy somewhere is better. You need to keep those records long enough to get through all IRS exams. While the IRS usually can only go after you for three tax years, sometimes they get six, so keep your tax records for seven years. Good recordkeeping is even more important if you have travel and entertainment expenses. While the tax law allows judges to estimate business expenses if they have some basis for doing so (don't count on this), this doesn't go for meals, entertainment and travel deductions. You have to maintain timely records that include the time, place, amount and business purpose of these expenses, and you have to keep your receipts. The records have to be "contemporaneous," meaning you have to keep them as you go. ... the day planner included an order form which provided a convenient way for the owner to purchase a new day planner for the coming year. In this case, the order form was for the calendar year 2014, a fact that completely undermined [her] testimony that she recorded information in the day planner contemporaneously in 2008. Maybe some people just like to order their day planners five years ahead. The most serious problem came from discrepancies in his mileage logs. He operated four vehicles during the 2009 tax year: a truck, a 1999 Jeep, a 2002 Acura, and a 2007 Acura. Mr. G claimed at trial that he recorded his daily mileage by writing the starting and ending odometer readings for each trip on a Post-it note. After he recorded the number, he would stick the Post-it note in his Day-Timer. But the mileage log for the 1999 Jeep stated that its odometer read 118,905 miles on January 1, 2009, while a Carfax report on the same vehicle showed an odometer reading of 126,121 in November 2007. Mr. G said that after he had the Jeep’s dashboard replaced there was a “new starting mileage” on the Jeep. But we also spotted a similar problem in the logs for Mr. G’s 2002 Acura: In November 2008 the Acura had an odometer reading of 109,422, but by January 1, 2009, it had run backward to 103,723. This time, Mr. G admitted that he couldn’t account for the discrepancy. There must have been a mechanical problem. The car was stuck in reverse, and he had to drive it that way until he got it fixed, maybe? Whatever happened, it didn't get the taxpayer out of extra tax and penalties. If you are a road warrior, keep track of mileage as you go. Write down the miles, who you are visiting, and the reason for the visit in your day planner or a car log. If you want to keep it handy and backed up, use one of the many smartphone apps designed for tracking business mileage. And drive safely! You know you’re ready for change. You want it! You need it! You’re revving your engines to move full speed ahead. But … you aren’t sure how to determine your destination, map out your journey and keep the gas flowing to get there. So you putter along, moving forward but not at a rapid pace. I have fantastic news for you! You CAN zoom ahead. All you need is assistance from someone like me — a professional coach. Coaching is customized professional development offering accelerated, results-oriented change. I am a cheerleader and project manager all rolled into one. When someone like you comes into my office, I help you figure out what you want to achieve, map out a path for success, and then hold your hand and cheer you all the way across the finish line. I believe you can do it! I know you can do it! And I can help you make it happen! Hiring a professional coach is an investment in your personal and professional self. It’s recognizing that something needs to change in order to exude the confidence and clarity that high performers experience. It is also reaching out for support and help to get there. Coaching isn’t for people who have “hit rock bottom.” I have some people who come to me feeling overwhelmed, but in general, individuals who seek out coaching are truly the best and brightest. Their goal is to shine brighter. To that end, coaching provides customized professional development and heightened self-awareness as no other method can offer. According to published study results from Manchester Inc., executives who received coaching services realized a sixfold return on those services. Wow! Imagine accomplishing almost as much in a single day as you previously did in an entire week — including the weekends. How could you not take advantage of these benefits? The most significant improvements came in the area of working relationships, up 77 percent; teamwork, up 67 percent; and productivity, up 53 percent. These results speak for themselves. Working with the right coach can truly give you the boost you need to experience the life you’ve always dreamed of both inside and outside of the office. As a word of warning — coaching is not therapy! The point of coaching is to help you determine where you are currently at and how to move forward. If you need to delve through deep emotional issues from your past, a coach should refer you to the appropriate trained professional for that type of treatment. Please know that a qualified, reputable coach will not attempt to solve these types of psychological problems; instead they will help you define and accomplish objectives that can be achieved through setting goals and supporting you to achieve those goals. Like any other improvement technique, results depend greatly on the quality of the service and the depth of your commitment. You need to be open and ready to challenge your old habits and patterns and replace them with new ones. Once you’ve prepared yourself, following an intentional process for hiring a wonderful coach will help you get the results you want. Another word of warning: Buyer beware! Coaching is an unregulated industry. That means that anyone can hang out a shingle and call themselves a coach. It is very important to find a trusted adviser who will provide you with the professional service you are seeking. While the benefits can be exponentially positive, it's important to do your homework to find the right type of coach who has the correct training, background and experience to help you meet your business or personal goals. Step One: What type of coach do you need? Coaches specialize in different areas and should have had rigorous training, background and experiences to support their areas of expertise. The first step in finding the perfect coach is to determine the type of coach you are seeking, or the area of expertise that they need to have, to help you get the results you are looking for. Just like you wouldn’t hire a plumber to fix your car motor, you would not hire a life coach to help you unravel your business finances. Take a look at the list of coaching specialties below to begin to pinpoint your exact needs. Some talented coaches offer more than one type of coaching in their practice. Life or personal coach. This is an adviser who focuses on supporting you as you make changes in your personal life with areas such as dealing with teenagers, aging parents, relationship strategies, household management, etc. Life coaches help you develop a solid self-awareness and foundation for changing habits that may be keeping you stuck. Career coach. The function of a career coach is to help a client discern the type of job they are searching for, to create or polish up a resume, and to provide support through a successful job search. A career coach may also assist with helping a client make a successful career transition from one industry to another in a strategic and planned way. Executive or leadership coach. An adviser who assists senior leaders (CEO, president, vice president-level), nonprofit executive directors, supervisors, managers, and program or department directors to strategically reach short-term and long-term goals. This may also include those who are aspiring to increasing levels of responsibility. Executive coaches tend to look at all aspects of a client's world, both personal and professional, to help them hyper-increase productivity and team performance, and to support them as they squeeze the juice out of life and work. Business coach. If you are an entrepreneur or a business owner, a business coach can assist you with analyzing the structure and financial information of your business and help you decide where changes are recommended to help you reach your goals. A business coach can help you identify opportunities for all functions of your business, from personnel (getting the right people into the right positions), to exploring marketing plans, to increasing your sales. Health coach. A relatively new category of coaching, health coaches support their clients in making nutritional and exercise changes to experience a more healthy lifestyle. The best health coaches are charging a fee for their health or medical expertise to help you achieve well-being. If a health coach is selling a product and offering advice for free with the purchase of that product, they are really just a glorified sales person. Knowing where your coach received their training to become a coach is important. Spiritual coach (also known as a spiritual director). A spiritual coach offers support as clients discern their life purpose, their connection to that which is beyond, their spiritual beliefs, their spiritual traditions and practices, and explore their intuition and transcendence. A spiritual director may be steeped in only one religious tradition or may be “inter-Spiritual” — honoring all seekers, questioning agnostics and atheists. Wealth or money coach. An adviser whose intention is not to sell financial products to make a commission, but rather to offer unbiased advice and recommendations about all aspects of your personal financial picture. This could include exploring budgeting, improving cash flow, analyzing purchases, shopping for insurances, and achieving financial short-term and long-term goals. Time management and work-life balance coach. I have combined these two specialty areas because they both support a client in discerning their relationship with time and their habits or patterns that add to or detract from harmony and productivity at work and at home. While this may be a stand-alone professional development strategy, time management or work-life balance coaching is typically included under the umbrella of another type of coaching, life coaching, executive coaching, etc., to help a client become more productive. This is by no means an exhaustive list of coaching services, just the most common list of offerings. It is a great first step in understanding what you, or one of your employees, may expect from a coach and why you might consider investing in one. In part two and part three of this series I will help you discover the extraordinary qualities of a good coach and provide some interview questions that you can use when making a decision to move forward with a coach. This will help you be all set to zoom ahead and hire the perfect coach. - Amy Nebons owns event management company Blink Events LLC. Being somewhat of a meatball connoisseur, I find it hard to eat a meatball without judging it on its texture and flavor before deciding whether it’s good or bad. Each component must be complementary of the next in order to achieve complete harmony. The same can be said about a well-executed event. Who has ever been to an event and noticed the flaws? Perhaps a glitch in the sound during a keynote speaker or connection problems with the video? I have stressed this before but will do so again: It is imperative to have clear event objectives prior to any concrete planning. Start at the drawing board and return there if necessary at different stages in the process. Create an event “tagline” that sums up those objectives and always go back to that tagline when you are at a standstill in your process. Maintaining clear sight lines on your event objectives will contribute to a cohesive and well-received event. There are many reasons to hire a planner, but one of the most valuable is that they are experts. Not only do they possess the efficiency and know-how to plan an event from start to finish, they also possess vision, which could be more important than the actual skill of planning. An event planner can serve as a creative partner to help you to think outside the box to create the “wow.” Interview a few planners before you hire one to make sure you have a good cosmic connection. Take them to dinner, buy them expensive wine to ensure you are a good fit for each other. ... Just kidding about the dinner. But really, you should feel totally confident in your planner’s abilities prior to hiring them. Let’s be real, whose TV has ever said “no signal” and you thought to yourself, “There is no way I am ever going to figure this out; I should probably just go read a book?” If you are like me, I just simply cannot figure out (or want to figure out) how to trouble shoot electronics. That is why I always, always always hire an A/V Expert. Not only are they able to quickly and effectively troubleshoot anything that may go awry, they will make sure no one ever notices there was a problem in the first place. More importantly, like your event planner, they have vision. Lean on them to execute your vision. Allow this creative partner the freedom to offer exciting suggestions on how to achieve a full, visually engaging experience. FOOD AND BEVERAGE MATTER TOO! Be smart in your choices; don’t just choose the cheapest options. Rely on your caterers to give suggestions and insight into menu size and options. But also have a vision strategy of your own that ties in to the event themes and objectives. Also, remember this is a health-conscious society, so be sensitive to a menu that can appeal to all attendees. Replace heavier starches and fats with lean carbohydrates and proteins to help sustain attendee engagement and protect the waistline. WHAT IS YOUR EVENT’S FLOW STRATEGY? Know your venue space and design the event flow thoughtfully and purposefully. When I say event flow, I am talking not only about the scheduling of the production itself, but also about the physical and visual flow through space. Design a flow from the eyes of the attendee and guide their movement through space. Your flow strategy should be determined from your event objectives. If your event deems itself to be a little more structured or conservative, maybe you will want to guide your attendees in a specific way through space and program. Likewise, if your event is more casual, maybe your attendees are allowed the opportunity to wander the space and casually take everything in. Make sure you are delivering the same messaging in a number of different ways so to increase the probability of retention. Also, get butts out of seats at least every 45 minutes to an hour to keep the blood and oxygen flowing through the room! In conclusion, gather creative and capable experts who can work together seamlessly to create a harmonious event. Reconsider the “one-stop-shop” mentality for convenience' sake and seize the opportunity to shine by investing just a little bit more into your event. Don’t get caught making bad meatballs!